Shopping at a thrift store is all about the thrill of the hunt. You never know what you'll find when you browse through the racks of clothing, household items, toys, and furniture. Find hidden treasures at a great bargain at the 10 best thrift stores in Mississippi. All Things New is a neatly organized thrift store in Jackson full of gently-used finds. Proceeds from their sales benefit the McCoy House for Sober Living as well as various Catholic charities, so you can feel great about shopping here—or donating the items you're not using anymore! Palmer Home for Children is a charitable organization which provides a safe place for children who have nowhere else to go. The charity was chartered in 1895 in Columbus as the Palmer Orphanage, and they've been helping children in need ever sense. They operate two thrift stores which benefit the organization. At City Thrift in Tupelo, you'll find well-organized and labelled merchandise of all sorts. They specialize in used high-end items. The staff is helpful and friendly and the store is well-organized and labelled. Best of all, they have weekly specials where you can find goods as low as 99 cents! If you're a bargain-hunting animal lover, you have to visit Barkin' Basement and Fashion Hound Boutique in Ocean Springs. Don't let the name fool you—although they do usually carry some pet supplies, they're a full-scale thrift shop, offering clothes, shoes, furniture, collectibles, and so much more! All proceeds benefit the Humane Society of South Mississippi. Samaritan's Heart is located in a beautiful brick building in Florence, and it is operated by Marvin United Methodist Church in order to support their outreach programs. They are known for offering high-quality merchandise, and shoppers know to keep an eye on their Facebook page for regular events such as half-off clothing sales. Double Blessings is a small resale shop which benefits French Camp Academy, which is a 900-acre Christian boarding school in Mississippi. At Double Blessings, you'll often find name brand clothing and trendy decor. Be sure to visit on the second Saturday of each month for half off everything in the store! Perched on a hill overlooking the heart of Hernando, Sacred Heart Thrift Store is an outreach of Sacred Heart Catholic Church. 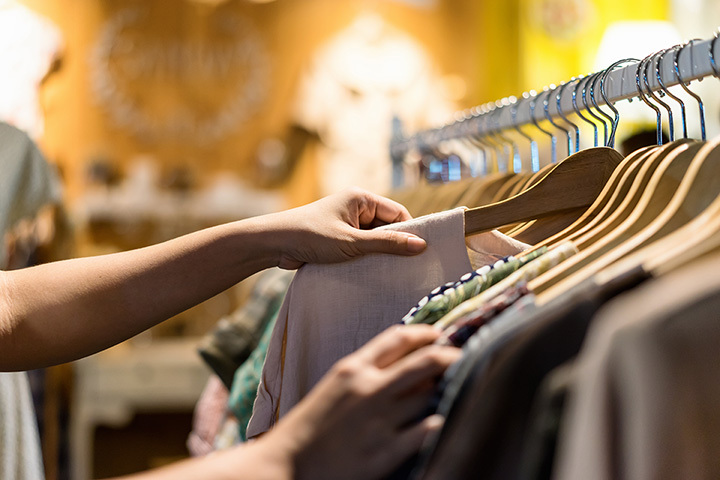 Aside from the fact that you're benefiting charity, you'll love this thrift shop thanks to its large selection of eclectic clothing and everyday low prices. While many of the thrift shops on this list benefit a charitable organization, Holding Hands Resale Shop in Oxford impacts the community in a different way. Holding Hands is committed to employing men and women with special needs, giving them a safe and understanding environment to pursue their own independence. Twice Blessed is a cozy little consignment shop in Bruce, Mississippi, where you can always find something new. The owner has an eye for displays, so the store is always a joy to visit. They're only open on Friday and Saturday, but it's worth the wait. Make sure to stop into the sale room, where everything is only 50 cents! From Me 2 You in Brandon is a full-service consignment shop with some of the best finds in Central Mississippi. The owner, Crystal, takes the time to interact with her customers personally, giving this place a feel of true community. Browse through clothes, jewelry, purses, shoes, and so much more!